SHIPPING IN 1-2 BUSINESS DAYS, NOT 8 WEEKS! HIGHER SPECIFICATIONS, BETTER PRICE, FASTER SHIPPING AT JRH! No surprises when you order from JRH Enterprises, you ALWAYS know what your getting! BRAND NEW Factory built unit from Night Vision Devices with the ITT/Harris 3rd gen Pinnacle autogated new with 10 YEAR warranty and high specifications. Unit has MANUAL GAIN CONTROL and uses 1 AA battery. THIS IS THE REAL DEAL! Read the reviews! WITH UNPRECEDENTED 10 YEAR MANUFACTURER WARRANTY! A REAL 10 year warranty from the manufacturer! No better warranty in the industry! NOT ALL PVS14's are the same! When comparing to other dealers and doing "research" be sure to ask the dealer who MANUFACTURES their PVS14 and look at the MANUFACTURER'S website to verify specifications, warranty, etc. . Some dealers claim a 10 year warranty when the MANUFACTURER of their PVS14s only claim a FIVE or even a TWO year warranty. Don't be fooled by copycat marketers! This unit has the real ITT/Harris tube. Resolution: 64 lp/mm MIN. S/N: 25.0 min. Photocathode Response: 2200 min., Equivalent background illumination (EBI): 2.5 max. In layman's terms: this breaks down to mean a brighter, cleaner view through one of our "Upgraded" versions than our "standard" version of the PVS14 3rd Gen Pinnacle Autogated devices. Most units ships with higher specifications than the minimums listed! This is the unit purchased from JRH Enterprises by Jim Rawles of Survivalblog, Southernprepper1, Max Velocity Tactical, Scott Hunt of Practical Preppers (Doomsday Preppers consultants), ANALYTICAL SURVIVAL of Youtube fame, "Angry American" author of the "Going Home" series, The Frugal Squirrel, "The other Ryan", and dozens of other well respected leaders in the Preparedness movement. Buy the REAL DEAL from JRH!!! **Who buys their PVS14s from JRH? Guys like Jim Rawles of SURVIVALBLOG, author of the book "Patriots surviving the coming collapse", SouthernPrepper1 (David) of Youtube and Doomsday Preppers fame, Engineer775 (Scott) from PRACTICAL PREPPERS CONSULTANTS for DOOMSDAY PREPPERS TV SHOW!, Max Velocity from Max Velocity Tactical, FRUGAL SQUIRREL, Dave from the Prepper Project along with hundreds of satisfied customers every year. Are you a fan of the show "Doomsday Preppers?" 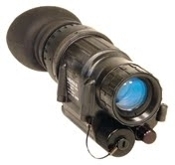 The PVS14 Night vision device used in the episode wherein the consultants "tested" the security of the client's retreat was a JRH Enterprises PVS14! 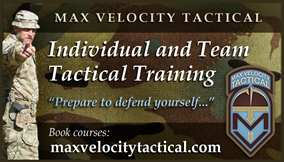 ** Max Velocity from Max Velocity Tactical- "buy your gear from JRH, he's the real deal!" BUY WHERE THE EXPERTS BUY - JRH ENTERPRISES! We say "allow 1 week" to ship in the item description but 99% of all PVS14 orders from JRH shipped the SAME BUSINESS DAY OR IN ONE BUSINESS DAY for the last six month period for Visa/MasterCard orders-. Obviously ordering during high sales volume times this lead time will increase. Why wait 4-8 weeks for empty promises on shoddy units from my competitors?